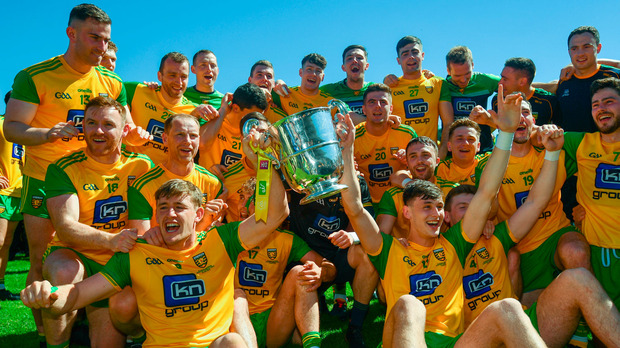 Donegal is the latest county to break the €1 million barrier for inter-county team preparation after it emerged that they spent a seven-figure sum for the first time in 2018. Cork, Dublin, Mayo, Tipperary, Galway, Kerry and Limerick have regularly topped the €1m mark, and Roscommon also did it two years ago but Donegal is now in that exclusive club after a year in which they reclaimed the Ulster football title. Even in the two years when they reached All-Ireland finals, 2012 (€894,487) and 2014 (€931,654), they didn't hit seven figures despite 'training on' for six more weeks than where they left off in 2018. But that's a reflection on what direction the spending on inter-county teams continues to go despite the shortened season with Kerry also passing the €1m mark, according to their financial statement published this week. Like Donegal, Kerry's senior footballers were wrapped up in early August. Delegates to last night's county convention in Donegal heard that €1,007,170 out of an income of €1,419,206 was spent on county teams in 2018. In Kerry, outgoing treasurer Dermot 'Weeshie' Lynch has again raised the increasing size of inter-county panels and backroom teams as a significant factor. While recording an overall retained profit of €539k, he said team expenses will "always be a challenge to maintain". "There were significant increases in the senior footballers and hurlers which cannot be ignored. "This is as a direct result of increased management teams and panel sizes." Laois's costs have also risen, up by €51k to €750,000. Counties spent over €25m on preparing teams in 2017 but with a more condensed season, the hope was that the figures could decrease.